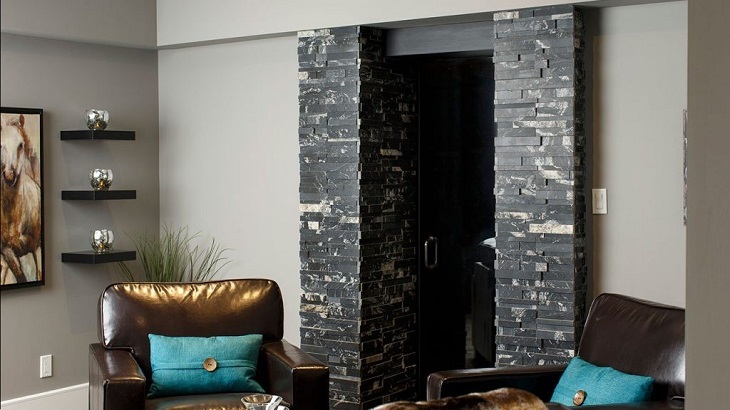 Natural stone veneer has many benefits, when it comes to using it in your home. For one thing, it is a sustainable material. 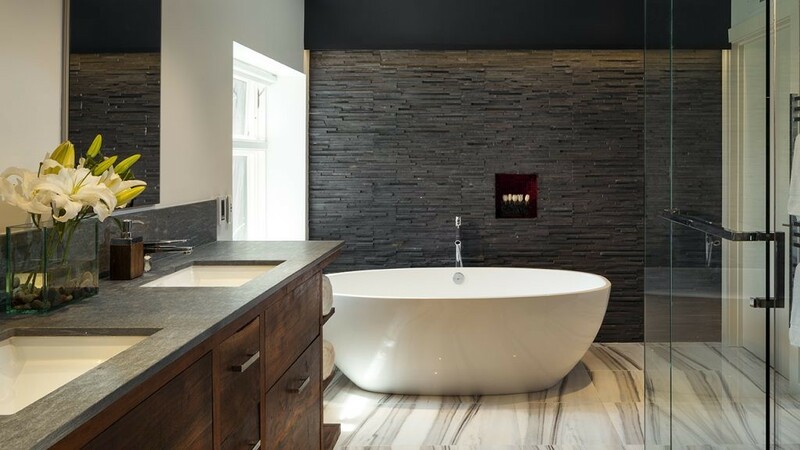 There is a great emphasis on being eco-friendly in today’s world, and natural stone veneer is both natural, obviously, and completely sustainable due to the fact that it comes from one of the oldest materials known to us. There are no negative environmental effects, when it comes to using this particular material. Aesthetically, it is a gorgeous and beautiful material that is very earthy, giving off a beautiful sense of history and the passage of time. You can use it in any home, and it adds a level of elegance and aesthetic beauty that is incredibly desirable. 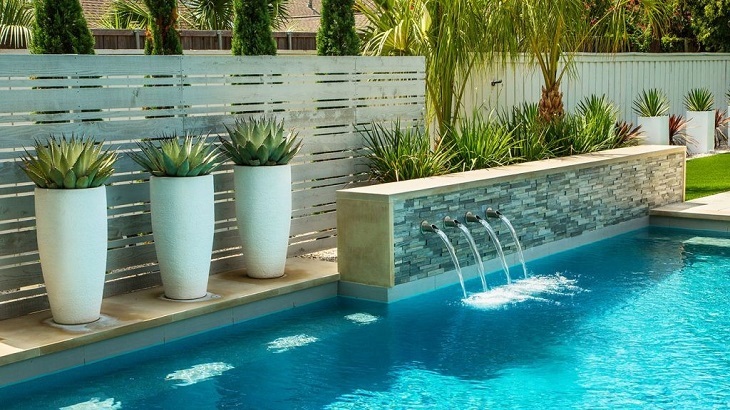 Exterior stone veneers are incredibly beautiful, and in this particular example, their beauty is heightened by the way they are used to conduct the flow of water into the pool. This creates a very naturalistic feeling, and you can liken it to water flowing through a river filled with rocks and stones and pebbles of all sorts. Ultimately, the effect is that of enhancing the natural elements found within, and outside of, this particular home. Instead of creating something that is more modernized and overly clean, it embraces nature. This is a beautiful and elegant example of a stone shower. As you have seen, there are two examples of stone veneer walls that are tied directly into water. The first was the pool, and now we have a stone veneer wall for this shower. 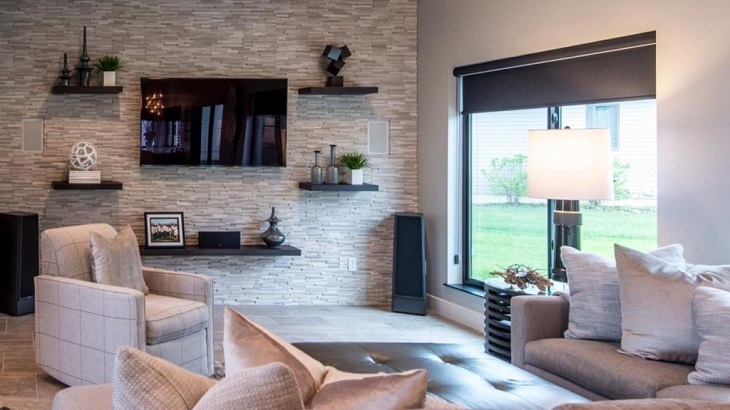 Once again, stone veneer walls are directly related to nature, and their presence is designed to enhance that connection to nature and to create sensations that are related to nature. 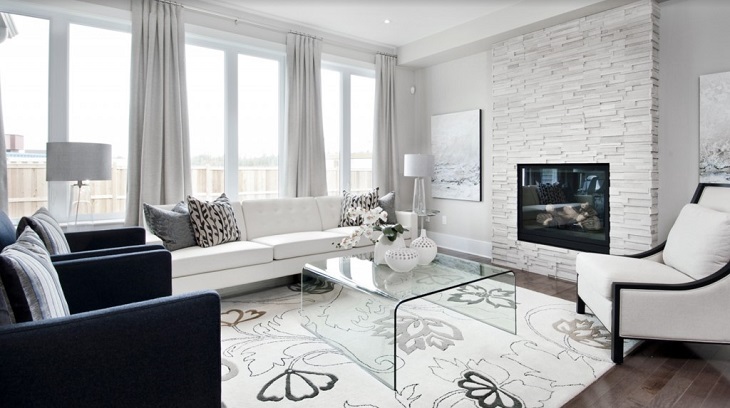 First off, what is a stone accent wall? A stone accent wall is a wall that is made of stone, that only takes up one wall within a room. That is why the word “accent” is used to refer to this particular wall. You can see that this stone accent wall blends in with the light coming in from the window, and the overall interior of the room itself, while having its own distinct look and feel. Stone accent walls have always been used as a means of holding mounted shelves, and this one is no different. Stacked stone veneer panels are trimmed pieces of stone that are attached together, which allows them to form modular pieces that can be installed with a relative amount of ease, and less hassle. Aesthetically, they have their own distinct look and feel, and you can clearly see that in this particular photo, which showcases an entrance into a hallway. Using the color scheme and the modular nature of this stacked stone veneer panels, a distinct atmosphere and aesthetic is created. Finally, we come to our last design. A stone veneer for a fireplace. This is a very common design - perhaps, the most common - and the reason for that is because it blends two very distinct elements into one cohesive mix. You have the fireplace, which is reminiscent of nature and very earthy and full of rich, naturalistic feelings; and then you have the stone veneer design for the fireplace, which enhances the feelings of nature. People want to feel more in-tune with nature and more in-tune with the earth, and aesthetic tools - such as natural stone veneers - are one very powerful way of doing that. It is no wonder that they have become so popular.